Samsung Electronics will introduce a 43-inch version of The Frame to complete the lifestyle TV’s lineup, which currently consists of 55- and 65-inch models. Pricing and availability for the Australian market is to be confirmed. Samsung Electronics Australia vice president of consumer electronics, Carl Rose commented, “We are excited to announce Samsung’s 43-inch The Frame, the innovative new TV technology that brings art into Australian homes. We believe The Frame introduces Australians to a completely new experience combining visual art and TV content. 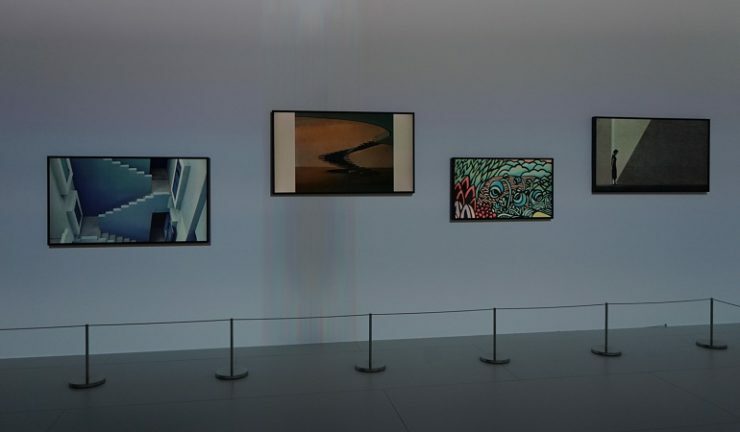 The new 43-inch model of The Frame Through its Art Mode function, The Frame, in addition to serving as a TV, doubles as a home décor element displaying both works of art as well as personal photographs. Through The Frame’s Art Store, users will soon be able to access about 1,000 prominent art pieces from world famous galleries and museums including the LUMAS, Saatchi Art, Sedition and Prado Museum. The 43-inch version of The Frame will be available in Europe starting in October, with the products to be introduced elsewhere on a phased basis.